The stately rooms of the 1886 Crescent Hotel belie its legendarily murky past. 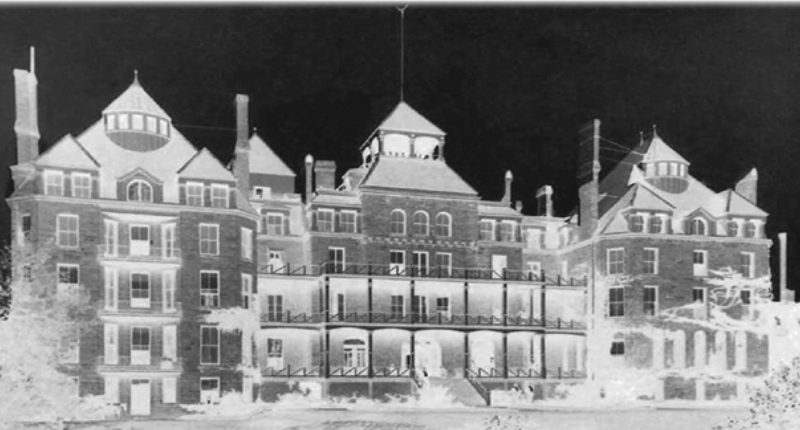 Accounts abound of souls who reluctantly “departed” this Eureka Springs landmark with unfinished business, so much so that the Crescent is a true ghost hunter magnet, celebrated as America’s Most Haunted Hotel and a Travel Channel Top Ten Haunted Hotel. What better time than the season of All Hallows Eve to darken the Crescent’s doors for a ghost tour and discover—in the flesh– what has everyone all shook up? It’s high time for spooktacular savings on a haunted vacation at the Crescent, and you’re spoiled for choice with special package offers. Scare up a hot last-minute deal! In 1937, “Dr.” Norman Baker converted the Crescent Hotel into a private cancer hospital, open until his arrest three years hence. This brief but anguished period in the hotel’s history has contributed considerably to its haunted reputation. This year, on Halloween night only, the Intrigue Theater’s popular headliner show in the hotel’s Crystal Ballroom will harken back to the disturbing reign of this lavender-loving charlatan with “Dr. 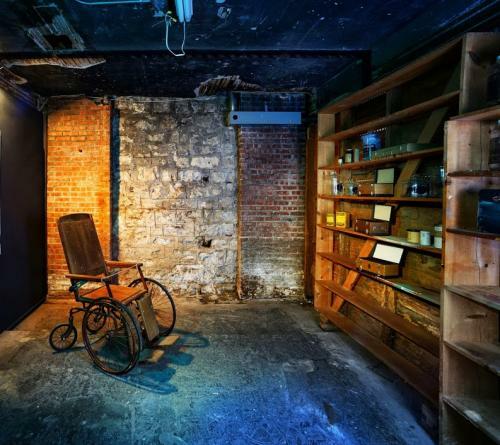 Baker’s Morgue Experiments.” This one-time segment includes a séance, allowing the audience a unique opportunity to communicate directly with the Crescent’s mysterious resident spirits. Tickets for Intrigue Theater’s Halloween show are known to sell out fast. Snag them now! In many spots on the globe, November 1st and 2nd are not solely reserved for the digestion of bucket loads of trick-or-treat loot. Day of the Dead and All Souls Day celebrations date back centuries, but Eureka Springs has added its own mischievous twist with a Day of the Dead Parade….and Zombie Crawl! Bring your guys, ghouls, and the whole batty family to feast their eyes on zombie marching bands, fleets of hellaciously creepy vehicles, and uncanny street performances. 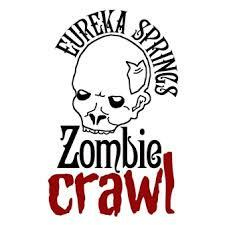 Warning: the City of Eureka Springs is not responsible for unattended brains during this event. Eureka Springs is home to some very fun souls! Wander around the streets under a bright moon and get to know Eureka at night. Grab a drink of your favorite spirit with a local at one of many bars and pubs. The places favored by the locals can be a little challenging to find. 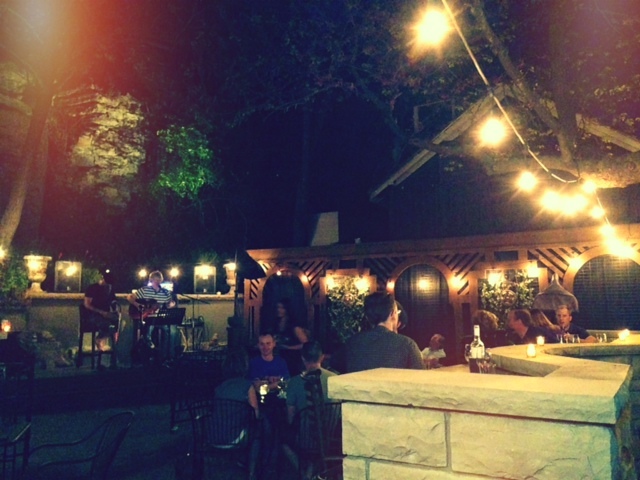 See a full list of Eureka Springs Nightlife complete with their location information. If you’re hungry and on the prowl in historic Downtown Eureka, sink your fangs into something tasty at the Grand Taverne at the Grand Central Hotel or eat, drink, and be scary at one of the downtown pubs with a foamy pint (of beer…of course! Sorry, no blood served at this time). 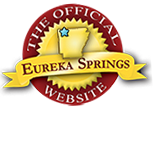 See all Eureka Springs Restaurants. This entry was posted on October 10, 2014 by estcblog in Crescent Hotel, Culinary Adventures, Festivals, Fun Downtown, Ghosts, Nightlife, Things to Do and tagged America's Most Haunted Hotel, Arkansas, downtown, Eureka Springs, Eureka Springs Arkansas, halloween, historic downtown, history, local culture.